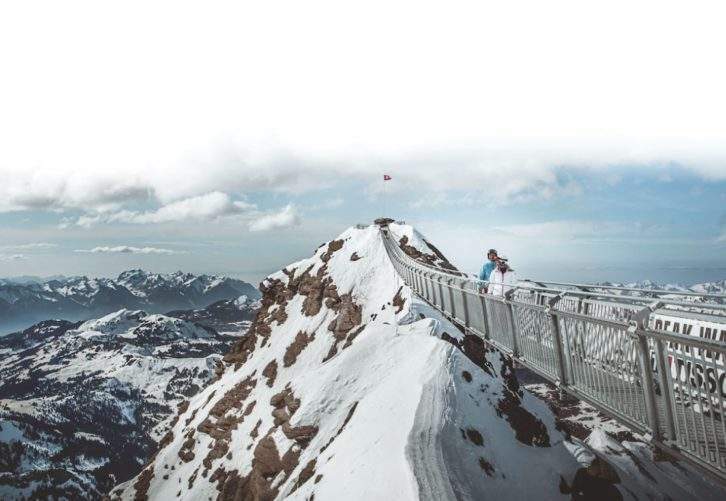 The very first and only suspension bridge that connects two gargantuan mountains in Switzerland’s Diablerets is the best way to see the area’s gorgeous snowy scenery if you’re not a ski bunny. At certain points of the 350ft-long Peak Walk bridge, a glass floor provides guests with an unobstructed view to the land beneath their feet — definitely not for the fainthearted. Mountains that can be seen from the bridge include Mont Blanc (the Alps’ highest point), the Matterhorn, Mönch, Jungfrau and Eiger. Stay in the Penthouse Suite at the nearby Gstaad Palace — the helpful guest-relations team can arrange the Peak Walk for you. The recently renovated, three-bedroom suite has impressive panoramas from the huge terrace, cozy fireplaces and alpine-chic decor.